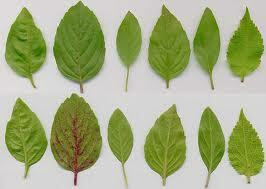 Basil (Tulsi) is the cheapest of all the medicinal plants available to the mankind for its wide use for homely cure. It is most common of all herbs and most economical. There is no side or after effect of its use. It is used for multiple occasions. It is found in courtyards of almost every Indian home. Usually, it is planted in the central position in an elevated flowerpot in homes. Especially the ladies take special care of this reverend plant. 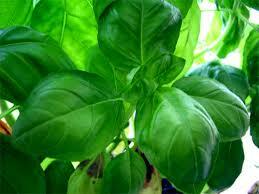 It is traditionally believed that uninterrupted use of five basil leaves a day – will keep a person free of of disease. 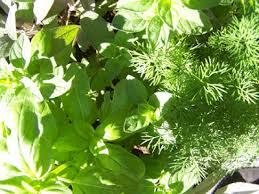 There are many types of Basil available but of them krishna and shayama are most prevalent. 1. Daily intake of 5 leaves with water will sharpen memory along with increase in brain power. It is a nerve tonic. 2. Gurgling Basil leaves warm water with and turmeric powder mixed with salt will make mouth, teeth and throat disease free specially cough. Water boiled with basil leaves can be taken as drink in case of sore throat. 3. Dripping Basil (tulsi )oil in the nostrils will remove all diseases of head and nose. 4. Rubbing basil oil regularly will clear up the facial complexion. 5. It is believed that Pneumonia can be cured by adding basil oil with double quantity of butter-oil from cow will cure with in 2 or 3 days. 6. It has been proved to cure heart blockages and cancer when taken with cow milk yogurt. The excessive blood cholesterol is reduced. 7. Basil (Tulsi )is highly effective in treatment of Leprosy, mixing with lime juice it helps in curing the dangerous disease. 8. Its regular use enhances the virility & strength of humans. 9. Chewing tulsi leaves relieves cold and flu. 10. Water boiled with basil leaves can be taken as drink in case of sore throat. 11. Breathing problems can easily be solved. A kavath ( decoction ) made out of basil leaves, honey, ginger is sure to control and cure successfully severe breathing problems like cold, cough, asthma and bronchitis. 12. Kidney stones are said to be removed through through urinary tract when these leaves are taken in for a period of about six months. 14. The leaves are quit effective for the ulcer and infections in the mouth. A few leaves chewed will cure these conditions. Other uses of Basil are said to cure insect, leech bites. The dental health and mouth diseases are cured through regular use of these leaves. DISCLAIMER: These are only general guidelines as a first aid. It is always better to see a doctor depending upon the intensity of the case.